Experience the thrill of hovercrafting, with this incredible taster session in Leicestershire. Hovercrafting is an incredible experience which many compare to the feeling of driving on ice - a but with a little less steering control, and a lot less danger! The hovercraft operates by moving around on a cushion of high pressure air that is blasted downwards against the ground, from the underside of the craft. This allows you to slide smoothly across the surface of grass, mud, water, tarmac - pretty much any flat surface you can think of! On the morning of this taster hovercrafting experience you will meet the rest of your group, and your instructor, at the Leicestershire hovercrafting centre, for an introduction to the experience day and a safety briefing. This done, your instructor will show you how to control the hovercraft at a slow, walking pace. Once you are feeling cotrolled and confident you can try slightly faster, more difficult challenges! Each member of the group will take alternate turns flying the hovercraft on each level, upping the ante each time! With guidance from your instruction throughout, and driving technique broken down into easy steps, you'll find yourself increasing in confidence as you try out some fun manoeuvres like 'handbrake' turns! When the instructor thinks you are a competent enough driver, you can start doing laps of the circuit. And as you are in control of the throttle, you control the speed! 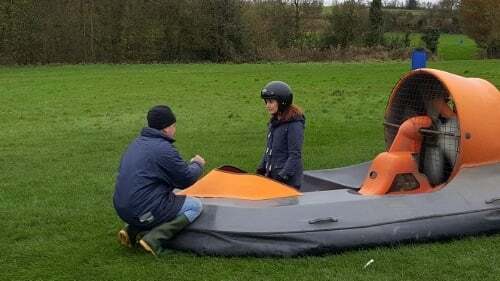 This hovercrafting experience is a totally unique and very fun experience, so whether you've always wanted to drive a hovercraft yourself, or you are looking for an interesting and unique gift, this Leicestershire hovercrafting experience is jut the ticket! The Leicestershire Hovercrafting experience day is available to be booked on regular, selected weekend and weekday dates throughout the year. All bookings are subject to availability. The Hovercraft Experience is not suitable for pregnant women or those suffering from a serious health condition. The Leicestershire hovercraft driving experience will last for around 2 hours. You will be taking it in turns to drive the hovercraft during this time. Participants: The Leicestershire Hovercrafting Experience is for 1 participant. Group sizes are restricted to a maximum of 7. Spectators are welcome to come along and watch the Leicestershire hovercraft experience. Please dress appropriately for the weather on the day of your Leicestershire Hovercraft experience. Your hands will be exposed while driving the hovercraft, so if it is cold you might want to bring some gloves. Please also wear flat shoes - heels and flip flops ot open-toed sandals are not suitable. Hovercraft tours can go ahead in the rain (these are amphibious vehicles! ), so don't worry if it's a rainy day, but do dress appropriately for the weather on the day of you Hovercraft experience. If you are concerned about weather conditions at the time of your hovercraft booking, please discuss this with centre before setting off on the day or day before. Chris adds to the enjoyment of this AMAZING experience, with excellent instruction and sense of humour. 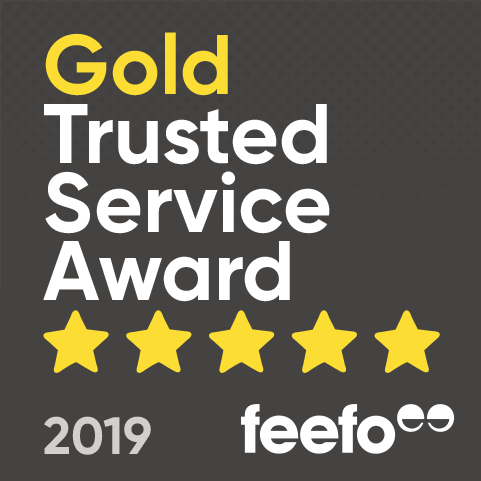 Excellent value for money and WE WILL BE BACK. This was a fun day out in Leicestershire! I'd never tried anything like hovercrafting before so was a little nervous, but I really enjoyed it and got the hang of controlling it by the end of the session! Hovercrafting is quite a strange experience! Takes a while to get used to the sensation but once you're comfortable it's super fun! Very cold day which probably didn't help but still very enjoyable. It takes a little while to get used to steering the hovercraft with the handlebars and your bodyweight, but certainly gets easier. Would love to visit again in warmer weather and try the hovercrafts on water. Despite the very cold northern weather, this hovercrafting experience was thoroughly enjoyable. Definitely recommend! We recently had the pleasure of taking part in a hovercrafting experience in Leicestershire! On a cold wintery weekend in November, we headed up to Leicestershire to take on this rather futuristic style of driving. Arriving at the centre, we were welcomed by our friendly instructor Chris who got us geared up in helmets, ready to take on these incredible machines. Admittedly, we weren’t sure what to expect as we made our way out to the field, but Chris was confident that we’d pick it up soon enough. The field was set up like a race circuit, with the track being marked with tyres. This was our challenge of the day – don’t hit the tyres! Chris demonstrated how to use the hovercraft with a lap round the track – then it was our turn… We had a few practise runs to begin with by zig-zagging through obstacles. This was to help us get used to steering the hovercraft – which was certainly harder than it looked! As the vehicle was so large, we had to put as much pressure on the direction we wanted to go in by putting all our weight on that side whilst steering. The heavier you are, the easier it is to steer. This definitely proved difficult for us girls. A few of us ended up a couple of yards off of the course by not having our steering correct! Once we were done with the practise rounds and felt confident enough to take on the full track, we set off! One at a time, we followed the course of the track for 1 and a half laps on the first go. We had to try to avoid obstacles such as the barrels marking the edge of the track, a horse manure pile and even a magnetic fence! Getting used to the speed of the hovercraft proved difficult as it’s nothing like driving an ordinary car, so those of us without drivers’ licences actually had an advantage there. Becky set off first around the track, hesitant of the speed of the vehicle but she powered through and made it round without any faults. Next it was my turn and let’s just say I wasn’t the best at steering. On my way round the track there were a few near-misses close to the manure pile (oops!). Evie was next up, looking and feeling rather nervous but with ease made her way around the track. Rosie and Robb followed shortly after, both showing off expert steering techniques – until Robb ran over the Go-Pro! We all completed 3 laps each around the track, giving us enough time to get used to the vehicle and improve on the skills we’d learned. Another guest that had joined us on the day tried out his hovercrafting skills on water, but we all agreed he was most definitely braver than we were! The whole experience was great fun and we all thoroughly enjoyed it, despite the harsh Northern weather conditions (well, Midlands, but we’re from Brighton!). If you would like a chance to experience these incredibly unique modes of transport, you can purchase this hover crafting experience here. Huge thanks to Chris for being such a fantastic instructor and making the day truly memorable. Can’t wait for what 2016 has in store for us!